Finding the right spot to flourish. The first race of the 2013 MotoGP was in Qatar on Sunday. A hugely exciting race and in particular seeing Valentino Rossi finish in second place was just superb. For those of you that don’t follow Moto GP, Valentino Rossi is one of the most successful motorcycle racers of our time; he has nine World Grand Prix titles to his name and seven of these in the premier class. However, for the last couple of years he has been racing for Ducati, the iconic Italian Motorcycle manufacturer. For one reason or another things just didn’t come together, few podium finishes, the lack of ‘feel’ from the carbon-fibre concept chassis, a number of non- finishes which just isn’t the Rossi at true form. It got me thinking about the leaders, organizations and people that I work with and that the lack of belief from others (and often self) doesn’t help. Sometimes we end up with the wrong people, in the wrong place however if we take stock, shift the environment, put ourselves out there to meet the right people, new opportunities invariably reveal themselves. Inspired leaders get this and do everything they can to ensure that they have the right environment for themselves, their people and their businesses, in the good times and when it gets tough. There are also leaders out there that don’t always get this, and that’s when we really need to listen to our instincts and do something about it. My daughter, aged three has a sweet little book about a giraffe that can’t dance. At the end of the story he discovers that he can dance, he just needed a different tune. Sometimes we need to find a different tune, with people that bring out the best in us, and an environment in which we can flourish and truly maximize our talents and skills. It appears that the tune of the Yamaha YZR-M1 and the Yamaha team is the right one for Rossi, it promises to be a great season. If you need help finding your tune, you know where we are. 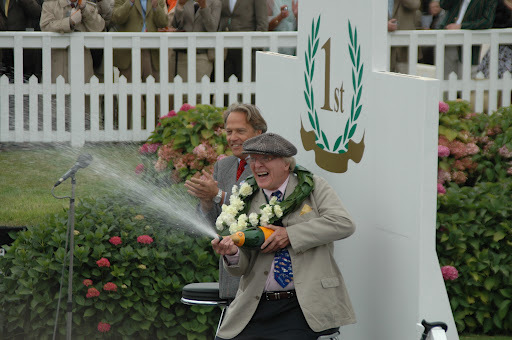 This weekend I felt very privileged to attend The Goodwood Revival meeting in West Sussex. 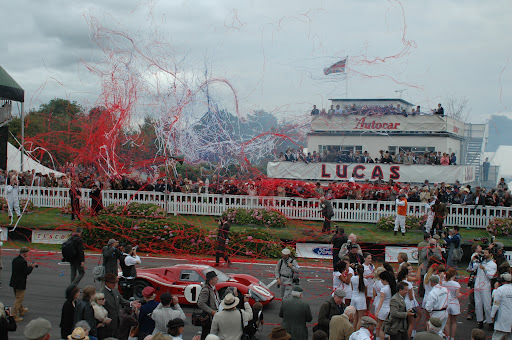 A veritable hotbed of exquisite historic cars, aeroplanes, fashion, music and memorabilia of a bygone era, not the mention the superb motor racing for which the event has an unrivalled reputation. I believe it was Fangio, the Argentinean Formula One racing driver of formidable achievement who said, “You need great passion, because everything you do with great pleasure, you do well”. From a spotless original 1965 Ford Transit, The Shelby Cup, a tribute to Dan Gurney to a grid value of c £300,000,000 worth of historic race Ferrari’s – the magic and sparkle one could almost hold. Now for those of you who are not particularly interested in things ‘petrol-head’, this is not the purpose of the post. It was the passion and unbridled enjoyment that was palpable. Not only for the cars, the planes, the history, the racing, the clothes (that’s another post entirely) the atmosphere at this event was inspiring and extremely pleasurable. I met people from all walks of life, had conversations with more strangers in a day than I’ve done for ages and met one or two celebrities to boot. 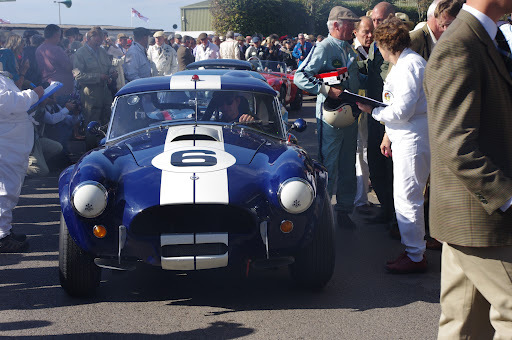 The passion of individuals for their cars, racing, the era, the clothes or just to enjoy a day at Goodwood House, was incredible. I don’t think there was one vehicle, plane or person there that wasn’t immaculately turned out, well maybe one or two, but you get my point. It may be the legacy of the success of the Olympics, the sheer passion and attention to detail for this event by Lord March and his team, or the sunny day that made the difference. However, living in challenging times, with volatile markets and economies, if finding our passion for what we care about makes such a big difference; to us, our friends and families, our companies, motor-racing events, then surely that’s the way to go. As Disraeli said “ Man (or woman) is only truly great when he acts from his passions”.